BBC Music Magazine Double 5 Stars. 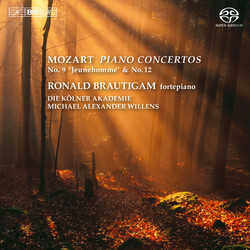 To a unique degree, Ronald Brautigam has managed to combine highly successful careers as a performer on both the fortepiano and the modern piano. With close to fifty released CDs on BIS, his discography testifies to this, including complete cycles on fortepiano of the solo piano music by Mozart and Haydn, but also four recent discs of Beethoven’s piano concertos played on a modern Steinway. 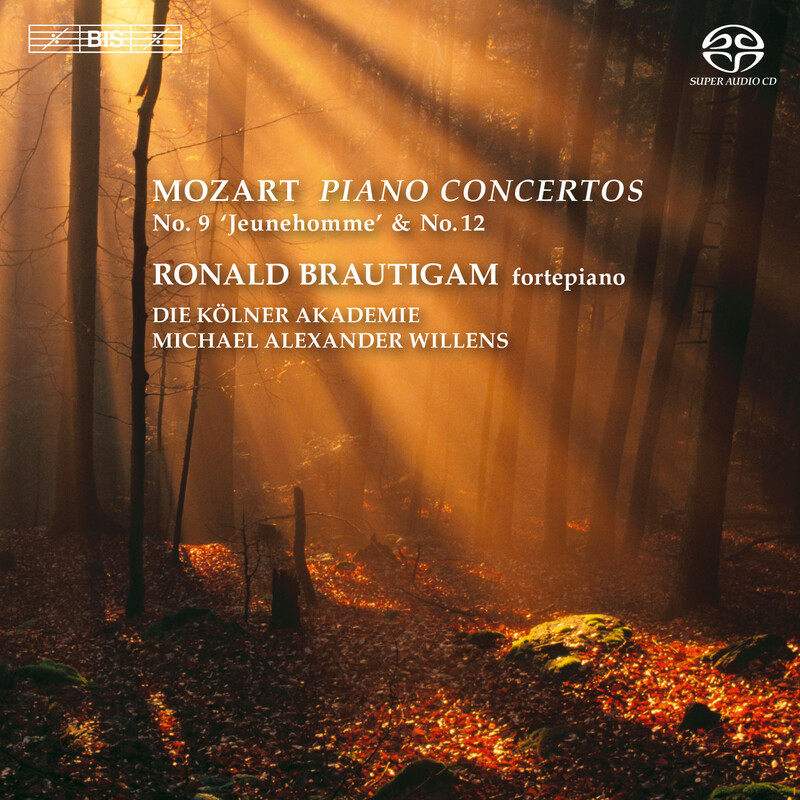 The present disc is the first in a projected series of Mozart’s piano concertos, for which Brautigam returns to the fortepiano – a copy of a 1795 instrument by Anton Walter – and is joined by the experienced period band Die Kölner Akademie conducted by Michael Alexander Willens. The programme includes one of Mozart’s earliest master-pieces, the ‘Jenamy’ Concerto (previously known as ‘Jeunehomme’) composed in 1777 before he had moved from Salzburg to Vienna. This is followed by Piano Concerto No.12 in A major, K 414, one of the first Vienna concertos, and a Rondo for piano and orchestra from the same period.